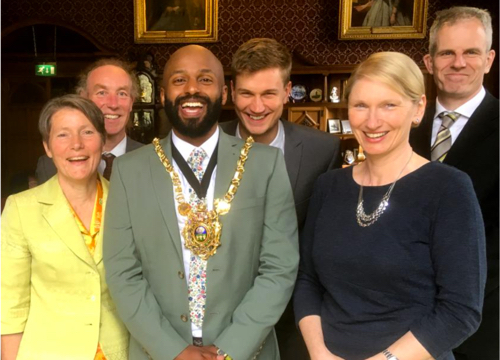 Green Party Councillor Magid Magid this year became Lord Mayor of Sheffield. He is also the city’s youngest ever Lord Mayor. Magid was elected in 2016 to represent the neighbouring ward of Broomhill and Sharrow Vale. Magid is working to promote local charities Flourish, Unity Gym Project and Sheffield Women’s Counselling and Therapy Service. He has taken his charm and charisma and opened the eyes of many young people to the world of (Green) politics. This year, the Green Group gained two more seats from the Labour Party, including here in City Ward where another young councillor, Martin Phipps, was elected. This takes the Green group up to six councillors. Your local Green Councillors have taken to the streets after complaints about bins and litter in Edmund Rd in Highfield. They cleared bins from the street and knocked on residents’ doors to explain the new collections. Campaign action from Sheffield Greens helped save the Walk-In Centre on Broad Lane and Minor Injuries Unit at the Hallamshire Hospital. Sheffield Flourish is a mental health charity rooted in Sheffield and owned by the community. Sheffield Women’s Counselling and Therapy Service offers free counselling to women in Sheffield who have experienced trauma or abuse. Unity Gym on Wellington St in City Ward helps young people from Broomhall make positive life choices. We help residents with Planning and Licensing apps. They need sleep too! We’ve supported anti-fracking campaigns. Keep it in the ground! 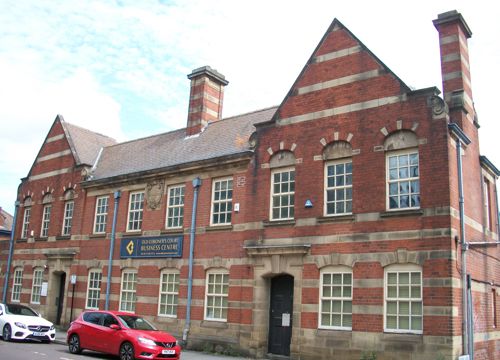 The Old Coroner’s Court on Nursery St faced demolition this summer. Opened in 1 91 3, it was a modern facility for its time but now provides a pleasant backdrop to the riverside pocket park. As it is not a listed building, the developer did not need planning permission. Green councillors have called for more safeguards for Castlegate’s heritage. Concerned about help for someone sleeping rough? Find out more about what’s going on in City Ward on our blog.